Welcome to the Hutcheson Horticultural Blog! We are extremely excited to continue to offer a new way to keep our customers informed and up-to-date on all the new products, services and information from our team here at Hutcheson Horticultural. Our goal with this website and blog is to provide you answers to questions you may have, share exciting updates, and even offer some tips & tricks from the Hutcheson Horticultural team. Doing business since 1988, Hutcheson Horticultural Company has a proud history of quality and service in the metro-Atlanta area. Mark Hutcheson, the founder and President, has a degree in horticulture from the University of Georgia and currently boasts 27 years experience in landscape management. Vice-President Matt Mathews is a Registered Landscape Architect and has been in the industry for over 25 years. 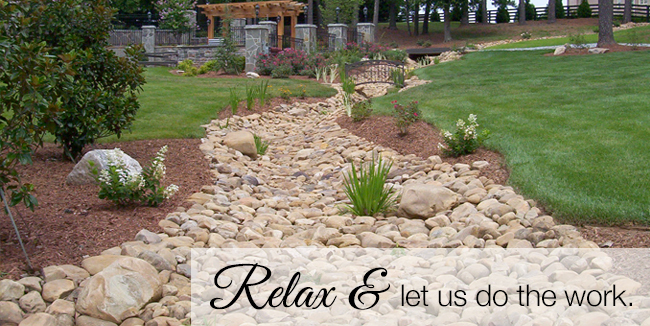 Hutcheson also employs several other Landscape Architects, a Georgia Certified Arborist and various other certified landscape professionals. It is our mission to offer full-service design, installation and maintenance of extraordinary living environments. We offer these services always with integrity and quality for our customers, while utilizing safe and horticulturally sound practices for our world. We welcome you to take a look around and familiarize yourself with everything we have to offer. Feel free to contact our office or leave a comment with any questions regarding services, appointments, or something specific you’d like us to feature in a blog post. We’re here to help!